Similar situation. Got a new job, everything looked good. Then a few months into the job and the available projects aren’t materilizing as advertized. It is a good company with plans to grow more, so there should be lots of those projects happenning. I followed the email trail approach, but maybe there is something else – or I ned to dig deeper. The first thing to determine is if the boss is being deliberately deceptive. If not, you can develop techniques to manage him. If he is being deliberately deceptive, you need to decide if you want to work for someone like this. If you decide to tough it out until you have a different boss, find out what there is about the company culture and leadership that would allow a liar to gain a leadership position. It might be time to plan an exit strategy. I agree with Greg. A company that tolerates bad behavior, whether it be lying to employees or temper tantrum outbursts (I work for one like this), then it is time to reevaluate if you want to continue working for that company. I’m planning my exit strategy. There is a fourth potential outcome: You p!$$ off the boss and he has it in for you from that point on. Of course, if that occurs, you know what to do — you’ll have to leave. 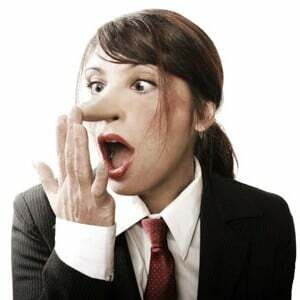 The topic of liars and rascals in leadership positions has always interested me. In any organization I’ve worked in, there are always a few people who fit this description, but seem to do well for themselves until some tipping point is reached. Along the way, most everyone else just shakes their heads, and openly ask how this could be happening. In his book, Jack Welch touched upon the subject of toxic managers. He said that upper managment at GE was first and foremost very impressed with a manager who is “beating his numbers”. Almost anything the manager does to his subordinates will be tolerated as long as it’s not blatantly illegal, and she keeps beating the numbers. Once this house of cards crashes, said manager is labelled as deficient and thrown under the next bus. Rinse and bring in the new guy. I’ve never worked for GE, but have seen the same thing more than once. Oh, thats rich. Jack Welch was revealed as one of the biggest accounting tricksters and earnings manipulators ever. And his infamous rank and yank personnel policy was as toxic as they come. There’s a reason GE’s stock cratered relative to other F500s after he retired. The SEC settled fraud charges as a result. 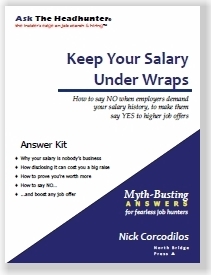 A dishonest boss, whether purposeful or not, can create hairy situations, as Nick pointed out. I especially appreciate Nick’s points about getting the details in writing via email. From experience, I would also recommend having at least one higher-ranking ally in the company who will have your back in case your boss is deliberately deceptive. Case in point from my own background – I was assigned to a group run by a senior manager, who was known to be hyper-political. Due to the quality of my work, the VP of our group identified me for early promotion, and the senior manager took this as a threat. From then on, he did everything possible to try and force me out: deliberately lying, verbal harassment, enlisting another employee to make me look bad. When HR finally got involved, they took the senior manager’s side (remember, this guy is very political; that, and the HR director wouldn’t know a dishonest employee from the hole in her backside). My trump card was having a great relationship with the VP of our group, who helped me negotiate an extremely generous severance when the company went through multiple rounds of layoffs during this whole mixup with my dishonest boss (who was canned, along with his lackey employee, as well as the HR director). 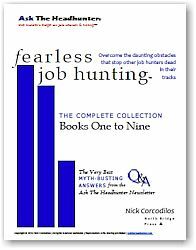 Point being, a dishonest boss, whether deliberate or not, will not have the desire, much less the wherewithal, to shepherd your career – whether that be getting the promised assignment, bonus, promotion, etc. Only you can do this. Certainly, get promises in writing, and as much as possible, get at least one established, higher-ranking supervisor who knows the ins and outs of the company as a mentor and ally. Personally, I couldn’t work for someone I don’t trust. I understand there are cercumstances where your boss promisses things He/She want to deliver, but are unable to do so. As long as its not habitual, then it’s somewhat acceptable. As soon as it becomes more common than not, its time to look for other opportunaites. My last position was as an Asst. Director. We had an employee who voliated security measures for teh second time and I felt we needed to write him up. This way He knows were not ok with repeated volations and we protect ourselves as well. With documentation in His file, a third occurance would be grounds for termination. After my Director and I had met with the employee on the issue, my boss said He wasn’t going to write-up the employee. Even after we had agreed to this prior to the meeting. At that time, I knew I couldn’t trust my boss to follow through, it really shook my trust in him. 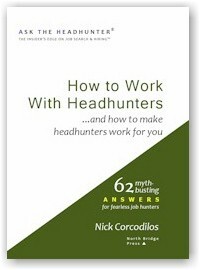 The next step I took was a direct result of Ask The Headhunter. I knew a position was open within my orgainization (university) and contacted the directer that week. I met with him and discussed the postion and what experience I could bring to the postion and eventhough there were some skills I currently did not have, I was certain I could quickly learn them. I told him I didn’t want to waste his time or mine if He felt I was not qualified to apply for the postion. Basically, I interviewed for the postion, before even applying. At the end of the 30min meeting, He said I should apply. I’ve been working for him since 2003. It was the BEST move for me in so many ways. He’s a no BS leader and I respond/respect him for it. Oh, I ended up getting a 19% pay increase as well! Key point to remember is, that we all have a certain level of control over who we work for and how people treat us. Alwasy be respectful, but experess your expectations up front. It’s a relationship that takes work, but should benefit both parties. @WD40: I also think dishonest bosses don’t have the desire to perform well. They view success as hinging on what they can get away with. Ironically, it’s probably easier in the long run to invest the effort in producing good work. @John Z: Rinse and bring in the new guy? I love it. Lenny Bruce put it this way: “Scrub ’em up, and get ’em ready!” It’s no coincidence that lousy bosses tend to have a lot of turnover. They often have plenty of stooges waiting in the wings. You brought up a great point about “stooges waiting in the wings”. I call it “the idiot hiring rule”. It seems that a deficient boss will almost always hire people more deficient then themselves. While these hires may be talented, the boss will get people that they can control or manipulate. Kind of like an idiot will always try to hire a bigger idiot in order to keep said original idiot secure. When that dosen’t pan out, then all kinds of mayhem will ensue. What do you think? He told me that I was not impeccable with my word. He was right…I took offense. I told him that nothing was more important to me than my word. If I give you my word, I’ll stand by it even if it hurts me. He was so right on! I was a complete push-over. I thought I was being understanding and reasonable. Really all I was doing was cheating the people who chose not to violate in the first place. What ends up happening is that eventually nobody knows where the boundaries really are. My friend Bill was right. Once I recognized my behavior and changed, most of my people struggles did too. It’s amazing how much more respect you earn by keeping your word. Very deep post. Thank you for sharing. I have a bit of introspection to do after reading it. I had the great misfortune of working for a well-connected (nephew of the assistant corporate controller of a Fortune-300 corporation) “fair-haired boy” who happened to be a narcissistic passive-aggressive bully. (I can imagine an independent observer marvelling over my official boss’s boss’s boss behaving as if he was subordinate to this guy!) This guy became my boss the first time (yes, there was also a second time) because the man who hired me took a position with a competitor. This guy’s ears simply did not work (no, he was not hearing impaired)! He would order me to do stupid things; and each time, my protest would be nothing more than an excuse to start an argument that was impossible for me to win. But that’s not the worst part! I will never be able to prove it; but I have reason to believe that when he was called on the carpet for something, he would say, “(Omar) did that.” It wasn’t necessarily a lie, but it was at the very least its sibling — a half-truth. Eventually, the manager of a different department, who could see what was going on, hired me away from this guy. Fast-forward to the day that my boss’s boss’s boss decided to make this guy’s next offical promotion happen. My department manager was forced aside, and this guy was in my chain of command again! He subsequently forced me out of his new department and into a job for which I was ill-suited. Once again, I will never be able to prove it; but I have reason to believe that I was blacklisted from consideration for internal job opportunities. 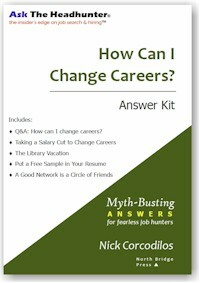 I was eventually told that I would be seeking consideration for external job opportunities. No need for big discussion. He will not change..and more likely than not he learned it from the top…No excuses ever! Find a new job…period. There could be legitimate reasons why things didn’t pan out as promosed, although the boss should state those reasons. If he really is a liar why are you working for him? (OK, the economy is still pretty poor). @tony: There’s a theory about how companies go under. A people hire A people. B people hire C people. C people drive A people out of the company. The company goes down the tube. The manager in question appears to be a B or C person. The larger question is, who hired the manager in this Q&A to begin with. That may be the real source of the problem. To be able to leave a lying boss would be great. I work for 2 bosses, one is very controlling and the other does not like confrontation. The controlling person gets her way. She is new as upper mgmt and I have past upper mgmt experience. (life changes required me to return to work) My perception is she “misrepresents” or “promises” items that do not come to fruitation, or will not “fight” to make it happen with upper mgmt and uses all as a way to control. My role has been reduced to grunt work with little to no regard for my abilities and the promises made at hire. I’ve been searching for a new slot since the first “promise” did not happen and I discovered there is no trust. An interesting take on the situation is how do we turn a B (or even a C person) person into an A person. Great point. I believe an A person should actually look for A+ hires. If you are good at what you do, you want your team the best it can be, and then, even better! But, like the chicken or the egg, what comes first? The job or circumstance creating the A, B or C person or the A, B or C management creating the job or circumstances that create the B or C person? Let’s also remember the possibility of Peter Principle or Dunning Kruger raising their ugly heads. Sometimes if you work for a bullying boss or a liar, you just have to quit. @Dave: I don’t think we do. They have to want to do it for themselves. I think their bosses can motivate them — but the motivation depends on the individual. I’d love to hear ideas about this. Good points, all. Amazing how we’ve all experienced these kinds of bosses, which shows just how common they are. Sometimes the problem isn’t the boss but the boss’s boss who can’t or won’t deliver, and then it is a chain reaction down the line. And lots of times it is the boss–sometimes I think the boss gets jealous of a stellar employee. Instead of realizing that the employee makes the boss look good, the boss is jealous, and does everything he can to undermine the employee and make him look bad in order to make himself look good. What happens is that good employees eventually leave, and the boss hires incompetent people because they make him feel better about himself. The fact that they’re incompetent is irrelevant, but it contributes to the failure of the company or agency. Having a boss who lies, is a bully, doesn’t deliver on promises, is jealous, etc. makes for a toxic work environment, and breeds distrust. My last boss had promised me a job review (I hadn’t had one in the 6 years I’d been at the university). First he said he was new to his new position, and he wanted more time. Then he ignored my requests (I wasn’t a pest, emailing him everyday or every week), then he had travel, and other projects, vacation, etc. 18 months went by, and when I asked him (in person), politely, if it was possible to do my review (I filled my part out already so it shouldn’t take long) he started sucking air and wouldn’t look at me and walked off without an answer. Two weeks went by before I heard or even saw him again, and when I reminded him of his promise, he got mad and told me that “no one else gets one, why should you?”. If he had no intention of giving me one, why lie to me and tell me he’d do it? Why dangle it in front of me, then give excuses (too busy, travel, meetings, vacation, not on campus) and then avoid me? And there was no need for the nastiness–simply say that staff don’t ever get reviewed and I would never ever get one. But then he knew that I knew that was a lie. There were job performance reviews, and they were important because they were useful (I could learn where I needed to improve, plus learn what the boss thinks is important, especially if you have a boss who doesn’t communicate with you, doesn’t tell you things) and because they were tied to raises when the raises came through. In 2008 the state finally approved the raises we should have received in 2004 but didn’t due to the budget/fiscal crisis. The way the university distributed the raises were according to job performance reviews–those who received excellent job reviews got them in Feb.; those with satisfactory reviews got them in May; those with poor reviews got them in Aug.; those with bad reviews got them in Nov.; those with no reviews got them the following Feb. And no, HR never got after business offices and bosses when job reviews didn’t materialize (they should have, but didn’t), so employees were at the mercy and whims of bosses who got reviewed but who didn’t review those working under them. Another boss reviewed an employee she didn’t like and slammed her, despite not knowing this employee or what she did. This same boss refused to give the “mandatory” job review after a new employee was on the job for 3 months (the probation period). The new employee told me that he begged and begged for the review, and the boss didn’t care….she blew him off. He was so worried that he would be out of the job because if you’re not reviewed, HR is supposed to let you go. He was a wonderful colleague and a very hard and competent worker. She drove him out, and others, and yes, she was a liar and bully. I don’t know what’s wrong, it is as if some bosses never matured beyond middle school. Marybeth provided an exmaple of a dysfunctional division/department. My question is this: why is this allowed to continue in companies? Doesn’t senior management understand that bad bosses drive out the good employees? We have a situation in my department with a toxic boss. He angers easily and is quick to blame others when things go wrong. His boss has met with those of us who report to my boss in an effort to determine how to “coach my boss to do better.” After nearly three years, they are still trying to figure out how to “cultivate” this guy to be a better employee and boss. Give me a break! It is time to admit to a hiring mistake and get rid of this guy. However, they will continue trying to “coach” him. This is driving out the employees in our department. I am not the only one looking for a job in my department. Should a company try to salvage an employee who creating problems? 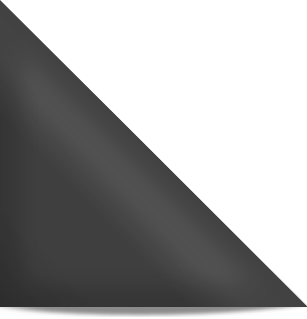 @Nick – Yes, I agree that motivation is a key variable in my question. I think that proper motivation/knoweledge has to be a pre-requisite to helping people move up to the A-level. Bob Sutton (http://bobsutton.typepad.com/my_weblog/) writes extensively on the boss issues being discussed. 1. Boss is making money for the company so any unpleasantness and/or driving away good employees does not matter at all to the company. 2. Boss is a BOSS: a big shot, important person just like the people who run the company. Those people get a million second chances and if the unimportant junior people are driven away, so what? In other words, members of the aristocracy don’t have to be productive. 3. Boss is not 100% useless. Boss is 80% useless but provides some useful results in the 20% productive time. In the short run, firing Boss would give someone senior in the company more work to do by figuring out how to replace that 20%. Senior people prefer not to add to their own workloads — it cuts into their golf time. I have seen all of these at different times in different companies. Grossly incompetent management is all too common. All you can do is keep looking for a decent place with competent management but they can be hard to find. Quite simply… It’s most likely that the bosses in question are not held to strict enough standards. As long as stuff is getting done, no one wants to rock the boat. @Dave: Isn’t that the most profound problem with American business? @Nick, If I were a liar boss and my subordinate followed your advice and sent me an email noting what I had said, and later sent another email reminding me of what I had said, it wouldn’t shame me at all. So the function of the email to the subordinate is just to make sure there is enough of a paper trail that may protect the subordinate enough and give him enough time to find another job. So there doesn’t seem to me to be an institutionalized way, or a normal cultural path to follow, or a legal procedure, that would alert management that the boss is a liar. In the last 25-30 years, the business world has reduced their focus on “People Management” as they increased their focus on the bottom line. The tide swumg from “Honey Management” to “Vinegar management” as the norm. Positive motivation has been replaced by Motivation through Fear. Senior Management, as well as HR departments pay less attention to what is happening in the trenches between line management and staff. I started my career at IBM. They had the Open Door Policy, where any employee could escalate anything to anyone in the management chain all the way to the chairman’s office. An Open Door was treated with sanctity by ALL. There was also a SpeakUp program that was treated as seriously. Last, but not least, the was an annual employee satisfaction survey of EVERY employee. It was widely known that a manager could not survive two bad opinion surveys in a row. Of course, IBM also used to have the Full Employment practice….absolutely no layoffs…ever. Okay, enough nostalgia. Toxic management is, simply speaking, a fact of life in today’s business world. An employee must either learn how to live with it, or build enough of a personal reserve to be able to walk away. In the scenario Nick posted, I would add one item to Nick’s email recommendation. You must be ready for ANY consequences of such a tactic. I have personally been in executive roles where I have made the occasional promise to an employee. However, 1) I tried hard to keep the promises to a minimum, 2) I was always careful to state “as long as it is within my power” or “under the right circumstances”, and 3) I always MEANT to follow-up on any promise I made. The good news in all of this is that these toxic managers “usually” don’t last, but just in case they do, keep your options open. You owe it to yourself. @DLMS: disfunctional is a good word to describe my old dept., job, and last 2 bosses. My first 3 bosses were just fine–intelligent, capable people who treated me as a human being and who were competent and fair. I stayed, hoping things would get better after the female boss brought in by her best buddy the dean left. It didn’t, and got worse. If you’ve ever had a workplace bully (just like the bullies you had in elementary and middle and high school), it can be just awful working in that kind of environment. Raising the issue with the boss of the boss in both cases would have gone nowhere, and I would have been targeted sooner by someone higher up in the food chain. In the case of my 4th boss, she was best buddies with the dean, who was her boss. We all learned very quickly that the dean didn’t want to hear anything negative about her friend. My boss was dumping work on an employee who didn’t work for her. This employee had introduced herself, welcomed the new boss, said the usual things–if you have any questions, stop by. But she wasn’t the boss’s employee, and she finally told her that the work she was giving her wasn’t her job, that she didn’t work for her (this came after the “you must have left this in my inbox by mistake” and “who did you intend to leave this project for?” kind of responses–and which the boss didn’t dignify with a response). That employee got a pink slip within 3 days, with the cooked up reason of lack of funding in the school. The employee, a minority, went to the union, which held up the process, and she continued to work in that job for another month, until another faculty member hired her to work directly for her. Five years later, the employee’s grievance was still pending against this boss. This same boss also tried to mandate morning prayers which she would lead and Bible study during lunch (otherwise she didn’t approve of people taking lunch away from their desks). She also sent employees daily religious emails. I worked for a state university, not a religious institution or for a school like Holy Cross, where I would have expected such things. When she demanded that I send out prayers and Christmas greetings to the students and faculty, I had to be the one to “educate” her about life here. Some of the others had complained to the dean about this behavior, and the dean told them to do as she said and not to bother her with it. She didn’t see professional staff or clerical staff as human beings, but just blobs that she would throw work at, even if it wasn’t that person’s job. I learned the hard way by telling her once that what she gave me wasn’t my job (it wasn’t–I didn’t work for nursing, and the job was clearly a nursing job)–she told me that my job was to do whatever she said, when she said it, and that if she wanted me to go to her house and clean her bathroom and wash her clothes, then I was to do it. Afterwards, whenever I’d get nursing tasks, I’d quietly give them to the nursing folks, and when they got public health tasks, they’d give them to me. When the boss asked about those tasks, I became an actress, and would claim ignorance (no, I’m sure that you didn’t give me that project, let me check my email, or no, all of the projects are right here, and I’d gesture at one of the big piles of paper I kept on my desk for that purpose) and direct her to ask Scott or Liz or Martha or…. If just your immediate boss is a liar or scatter-brained or disfunctional, then sometimes it is possible to work around them. You have to be a little smarter than your boss but not let him (or her) know it. It is when the whole chain of command is disfunctional that you have problems. I used to use email to document conversations with the last 2 bosses all of the time because they were liars. They would tell me to do something, or not to do something, I’d comply, then I’d get blamed for not doing what they said. It was to create enough of a papertrail so that if these bosses decided to try to get rid of me because I didn’t do what they said, then I had proof, and using email meant that they couldn’t claim that they never said x, or that I misunderstood. My email always ended with “if there is anything I missed or misunderstood about your request, please let me know”, and if they came back with another verbal request, I followed up with that in writing too. Yes, it was a pain, because I could have spent that time better than creating a papertrail, but I had seen enough to know that the dean doesn’t listen to staff, will only believe her friend, and without a papertrail, I’m toast. The union was good about grievances provided that you’re a minority, so if you’re not, then you create a papertrail, and you start looking for another job. I think management doesn’t want to deal with problems, even if those problems are caused by a boss, even if there’s cause. They just don’t want to hear it, don’t want to deal with it. They’ll do anything and everything to protect the bad boss (my old boss–the 4th one, the religious bully) because they think it reflects on them. It does, but employees think it is far worse to ignore the problem and treat it as the emperor’s new clothes. Employees know there’s problems, and when no one in management wants to deal with them, and employees can’t because they lack the power, then the dept. or company looses good people. But that doesn’t bother them either. It should, but it doesn’t. Most employees know when a boss is lying vs when a boss tried to deliver but couldn’t and was honest about it. Honesty goes a long way, and so does integrity. I’m at the point where I don’t want to work for someone who is a liar, or for someone who creates such a culture in a company or agency. The challenge is finding an honest boss and employer. Hi Nick, I have a huge problem, desperately need advice. A Physician I use to see, and do not now, has gone away from her practice and into her own private practice. I am applying for Social Security for many health reasons. When she told me she was going into private practice, she asked if I would be her teammate. Working from home, at that time, ideal for me and my health. I have worked my a** off for past 10 months, receiving no pay related to application for SS. Everything, literally, that she said was going to happen at the very beginning of this endeavor, has not happened. I can deal with all of the above, it’s hard, but I can be ok with that. What I am struggling with, she is a habitual liar. She looks me in the face, and lies. There was one very important project I needed from her, with a deadline. She was aware of this for 6 months. When I found that it had not been completed, I met her at office, asked if she had completed the project, looks me in the eye and says yes. I asked when was it faxed, replied 3-4 weeks ago. She printed off what she had done, which was not even close to what was needed. It was dated from beginning of July, 2008. I looked at it, put in aside, and again asked if she had sent this in. She finally said no. She has financially ruined me. I have spent over $4000.00 for setting up my home office, in order to help her begin with hers. @Lynn: Your post is very confusing. First you suggest you’re working for the physician and that she has not paid you in 10 months, then you say you are upset because she did not complete a project on time or properly. It’s hard to know who is working for whom. In any case, this is clearly a bad business relationship. Why do you continue it? If you have no written contract for what seems to be a contracting job, I suggest you see an attorney for help. I wish I could give you more specific advice, but this is a legal matter and a matter of judgment. I wish you the best. Continuing a business relationship in which you are being taken advantage of is not going to fix it.